Nutty chocolate slab - home cooked food delivered. A lovingly crafted slab of rich velvety Belgian chocolate, with mixed nuts, sweet dried fruits and tangy dried peel. This is great for sharing with a group of friends… get stuck in! 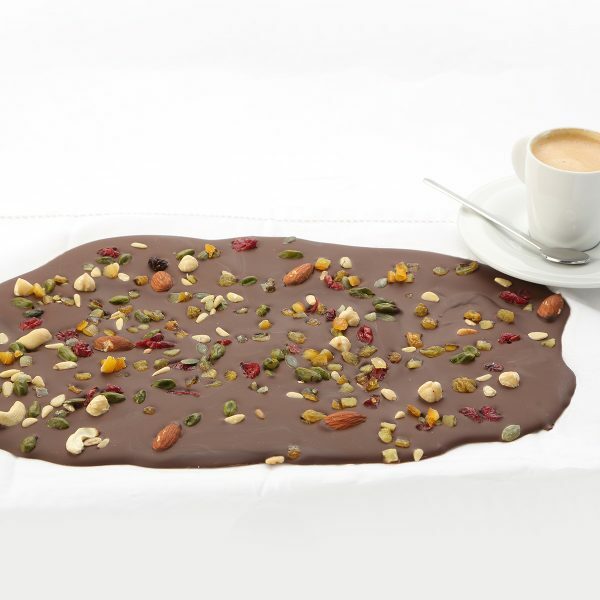 53% Belgian chocolate, mixed nuts and dried fruits, mixed peel. Keep in an airtight container for up to 10 days.